Do you want a bright future for your children? Of course, you value your children more than anything else in the world. You want a secured future for them. You may want them to become a Doctor, Engineer, Accountant or a Teacher etc. There is no doubt in you that they are your hope for the future. Why don’t you just give them a gift? The gift you are going to provide them will help build a strong prosperous future for your children. The gift is investing a significant amount of money in “Registered Education Saving Plan” (RESP) in their names. It is not only for children, it is applicable to your grandchildren, nephews and nieces also. Why should you invest some money for children? You are aware that expenses for students in Canada is on the rise. Therefore, it is advisable to save a few dollars in the name of the children. This would definitely lessen the burden you and the children may encounter in the future. GT Brokers has a system to enable you invest money in “Registered Education Saving Plan” (RESP) in the names of your children. 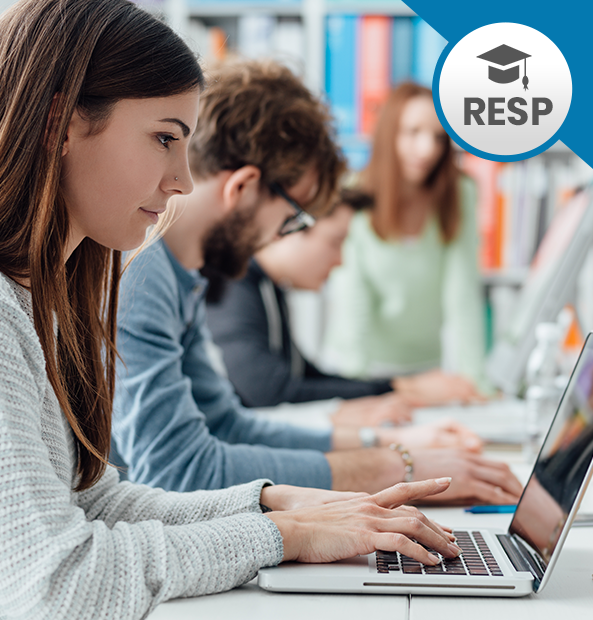 You have to consider RESP as a vital part in your scheme to save for the future of your children. As RESP is being managed by the Government, investment in it will be tax-free. In addition, RESP grants access to the Canada Education Savings Grant (CESG). The Government of Canada pays 20% of the contributions you made in a RESP for children. Children must be under the age 18. Maximum payable is $500 per year. The maximum for each one is $7,200. Income generated by the Plan is non-taxable during the accumulation period. Beneficiaries are responsible to pay tax on income from the Plan once they start to withdraw money from it. Taxes for children are at lower rate, so RESP gives a good capital to children. RESP can have more than one beneficiary. If one child does not continue post-secondary education, accumulated funds can be transferred to another child. GT Brokers gives you the full range of options for investments with lower annual fees for administration. You don’t have to confine RESP to just one child. More than one child can be brought under RESP if they are related by blood connection. Adopted child too is eligible. You can enroll one child in multiple RESPs. You are free to change the beneficiary at any time. The beneficiary shall use the funds for full-time or part-time studies at a post-secondary level. However the educational program must have a minimum 10 hours of instructions or 10 hours of work per week and the course duration must be 3 consecutive weeks. If the Educational Program is at a foreign institution, its duration must be minimum 3 weeks. Students who are 16 and above are also eligible for benefits under RESP if they have enrolled in a qualifying educational program with a minimum of 12 hours per month. The course duration must be minimum of 3 consecutive weeks. Apprenticeships, Programs offered by Universities, colleges, publicly funded pre-university colleges or trade schools are qualified for RESP.